I have been struggling with the CNC router as a part of my workflow. Loading the van with full sheets of plywood to drive to Menlo Park, unload, setup, struggle with new software, CNC collet and bit problems introduced by other users, tracking down help, etc… it’s tough. 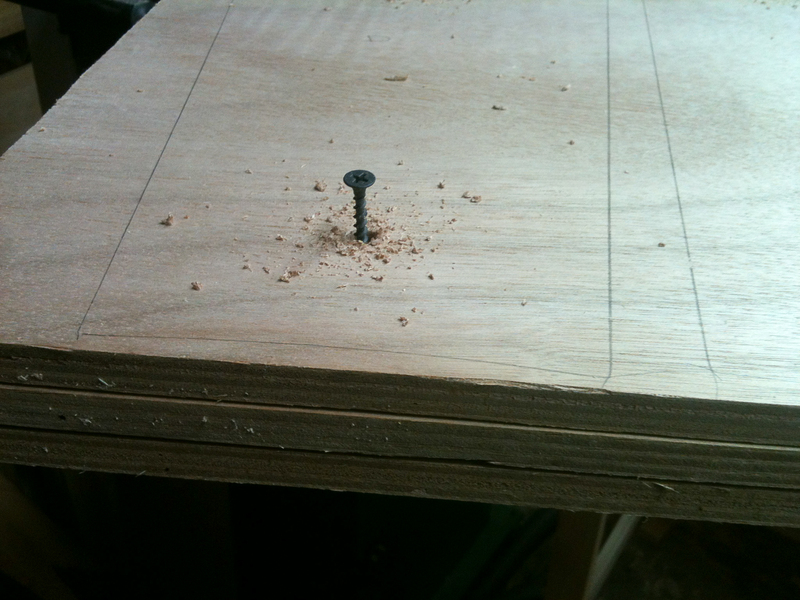 Also, cutting with a router bit is not natural to me. CNC was awesome for precision cutting, but there is a lot of waste. The marine ply I am using is almost $100/sheet so less waste is good. New plan… use my garage shop to cut supports on the bandsaw. So… I can squeeze a lot more shapes in the same space given the narrow kerf of the bandsaw versus the 1/2 inch spiral bit of the CNC. 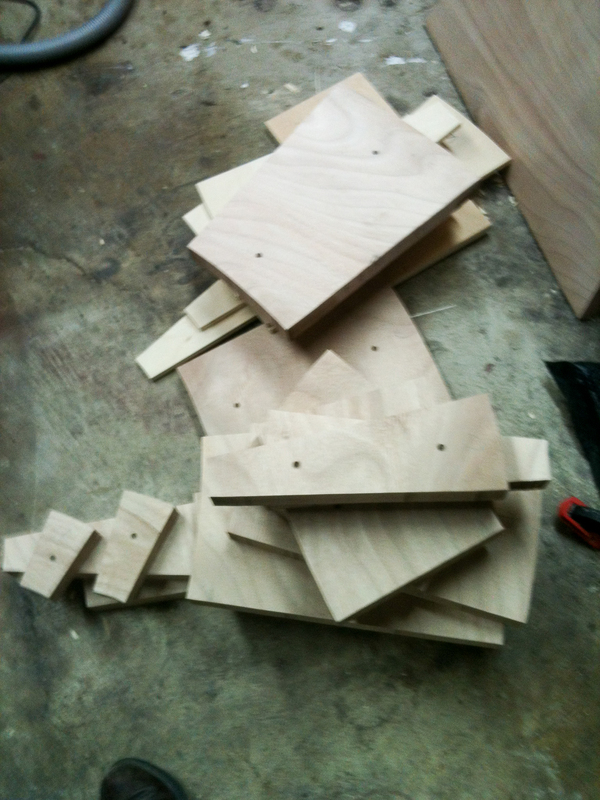 I screw 3 sheets of plywood to each other so I am cutting 3 shapes at one time. Very time saving, no driving, and the bandsaw is meant for this job. I built a support table to stand next to my 17′ Jet bandsaw to hold full sheets of plywood. 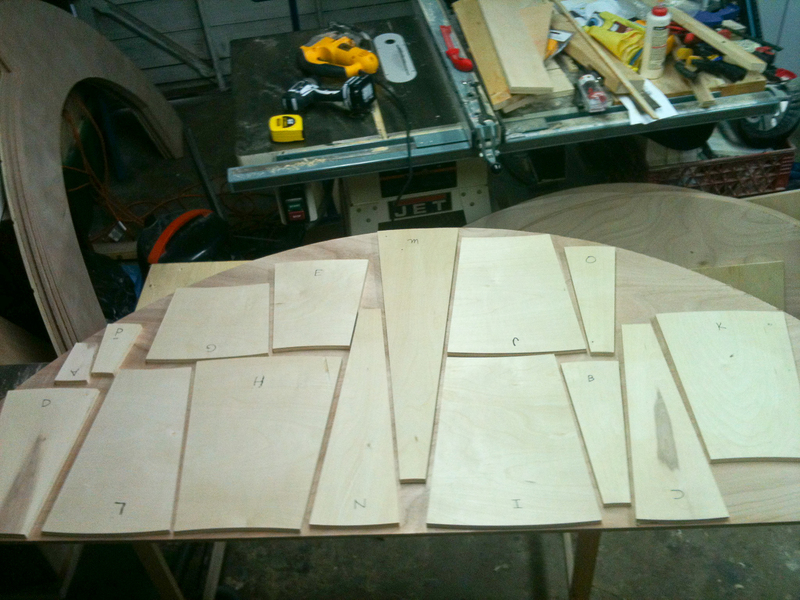 A couple of cuts with the hand jigsaw to size the panels, but from there it was smooth sailing.